Some 230 people enjoyed a Bar-B-Que meal during last Saturday's Christian County Farm Bureau 100th Anniversary Celebration at the Manners Park Dining Hall in Taylorville. 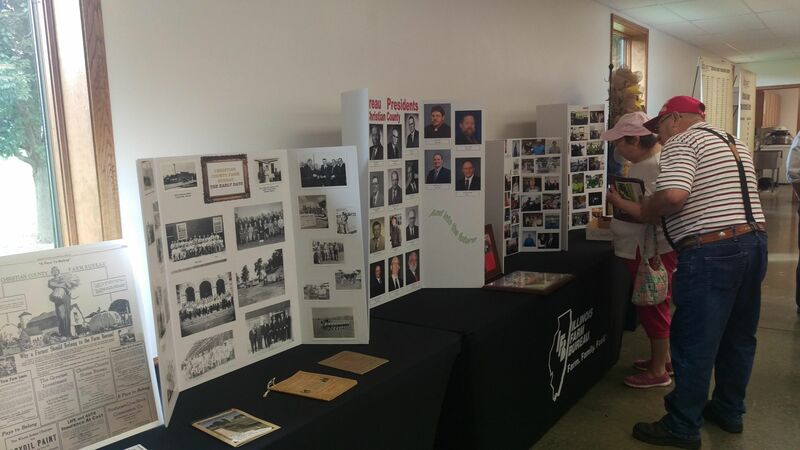 Many current and former state and local Farm Bureau dignataries attended the event, to spotlight the importance of the local Farm Bureau in its 100 years of existence promoting agriculture and serving its members. Tim Maiers was a former Christian County Farm Bureau manager from 1994 to 1998, and visited with Regional Radio News about his years in Taylorville. Maiers is today a full-time grain and livestock farmer near Quincy, and also does agriculture public relations work part-time.